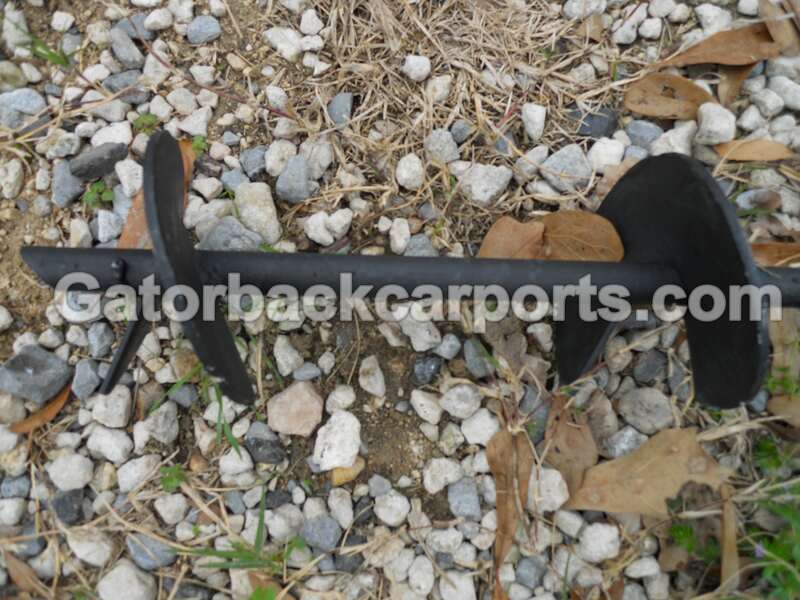 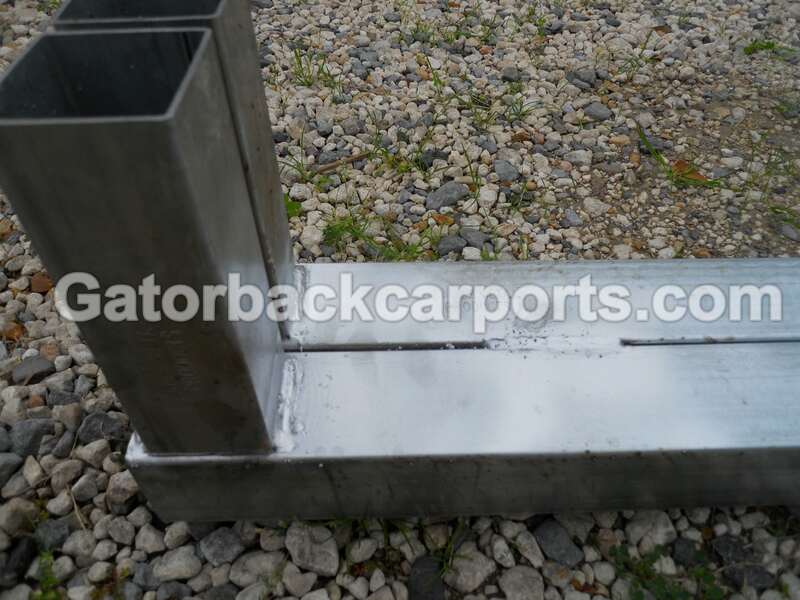 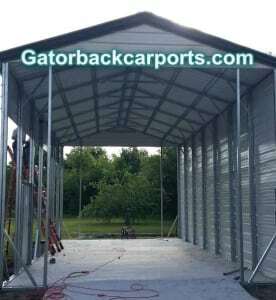 At Gatorback Carports we have recognized a weather pattern that has changed over the years, and insurance companies agree that those patterns have intensified. 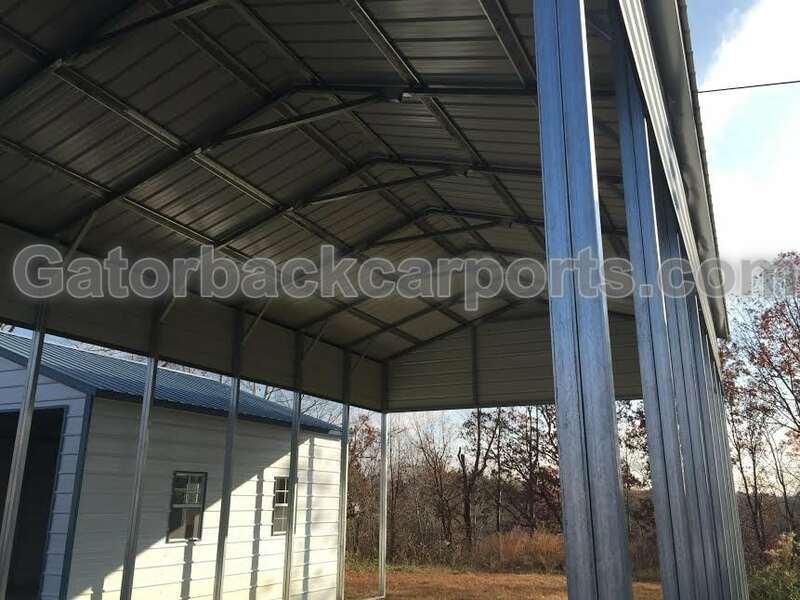 Protecting your investment is now more important than ever, and we want to do all that we can to aid in providing a carport system that you can be confident will meet those needs, and yet be affordable. 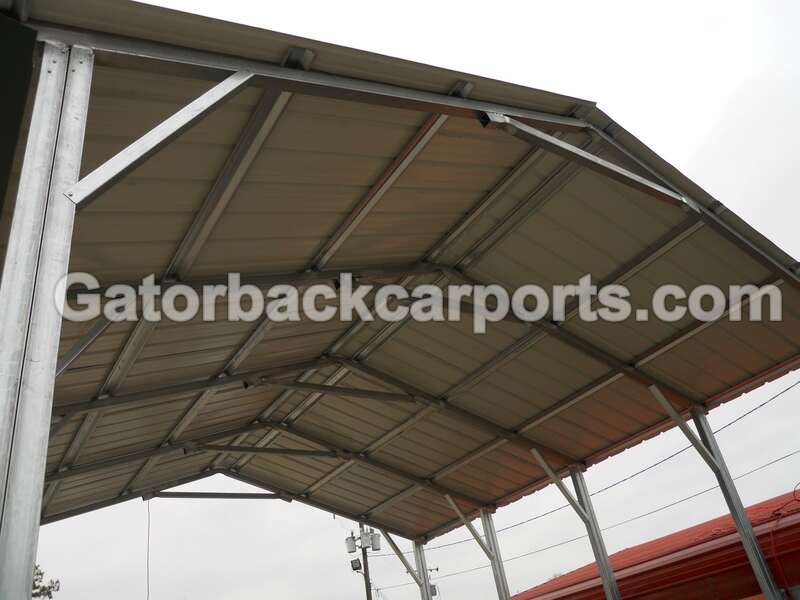 We have now developed a RV Cover System that provides superior protection for your investment from the outside elements, and our carports offer the most affordable pricing available. 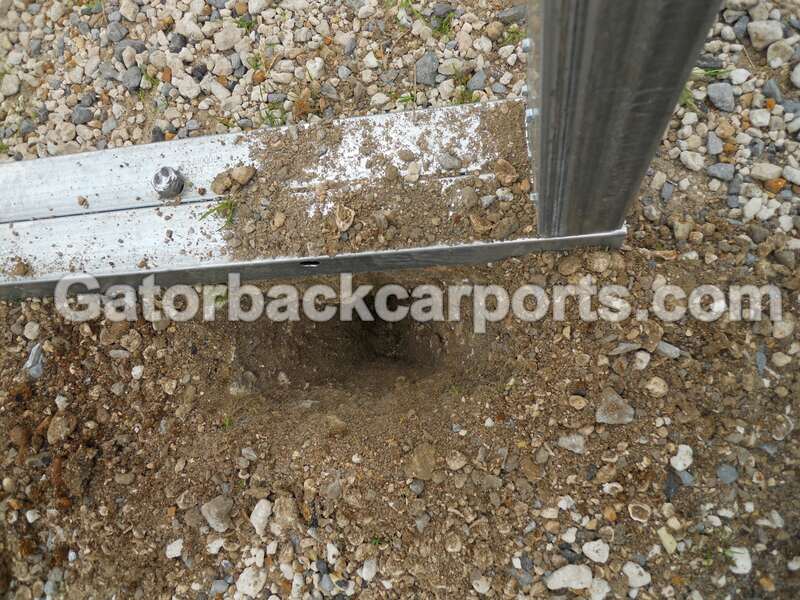 This Strengthened Motor Home Carport System has double vertical post, and double base rails. 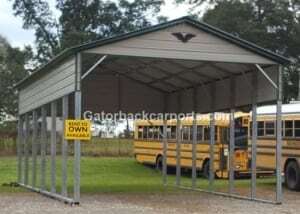 It comes standard with 14 gauge framing material, but you can up grade to 12 gauge, for an even stronger overall system. 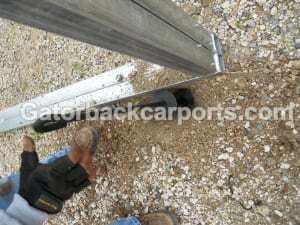 This product is now available in 15 states with free delivery and installation. 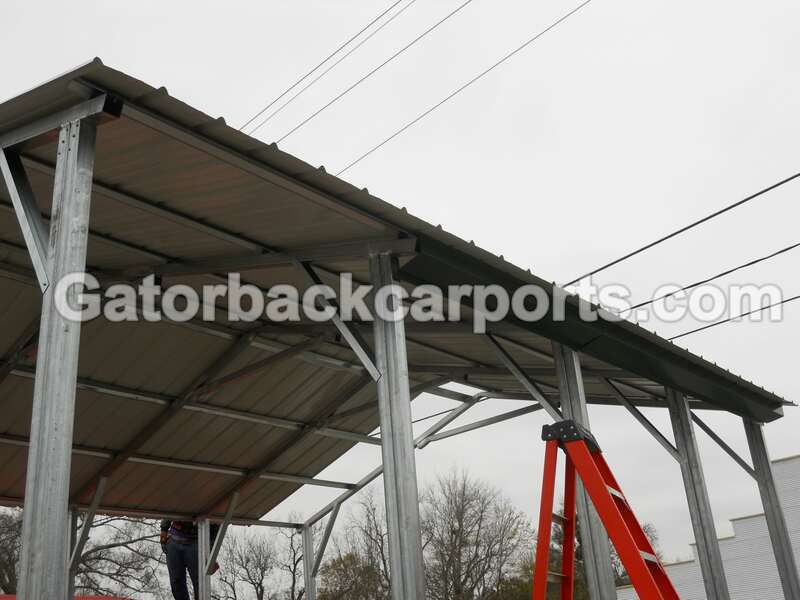 Metal carports, metal garages, enclosed metal buildings, steel workshops; and carports with storage units are our specialty. All our units including our extra strength RV carports, metal barns, and metal commercial buildings, are built on your site. 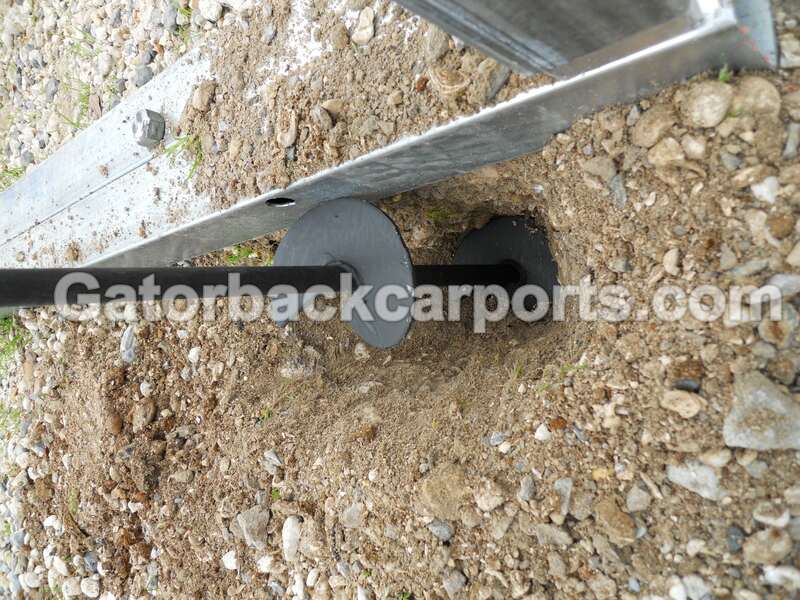 We use prefabricated materials such as our truss, and welded leg posts and base rails to guarantee maximum quality control, customer approval and fast installation. 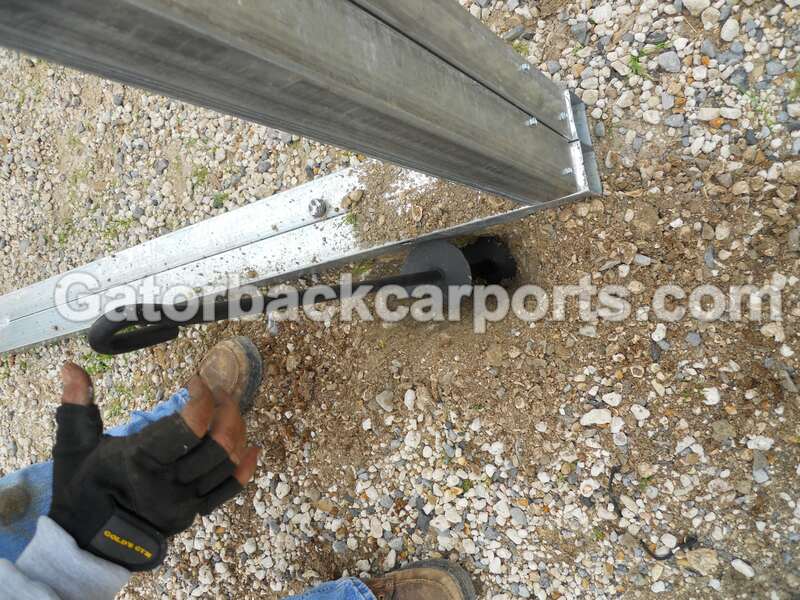 This procedure along with our knowledgeable installation crews, and product warranty makes the course from purchase to finishing point trouble-free and enjoyable. 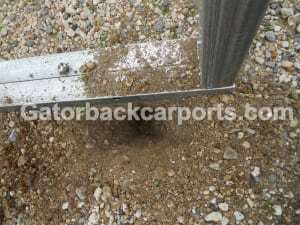 Ordinary installation time on an 18 x 21 standard dimension carport is about one hour. 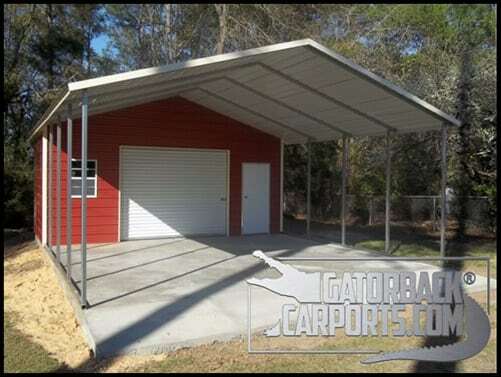 Metal Garages are completed in 4 to 5 hours, and extra large RV Sheds normally in a single day. 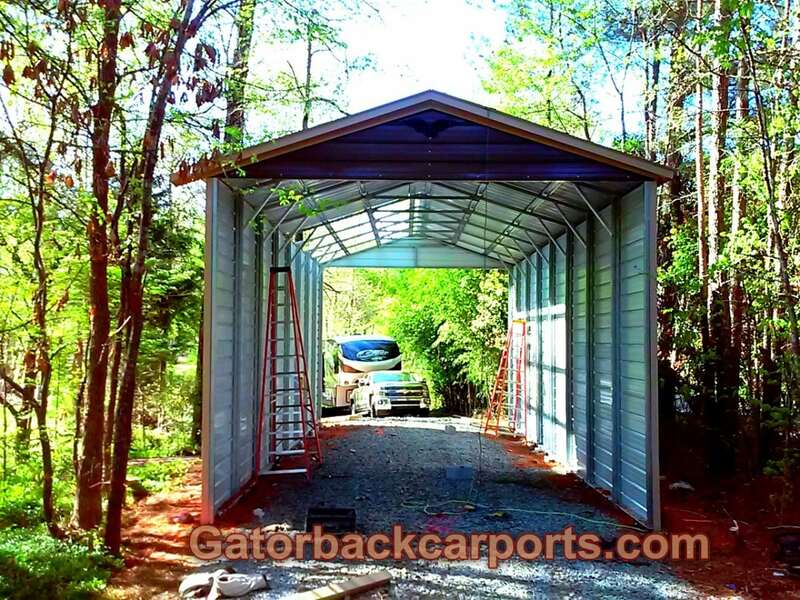 Our Carport Calculator automatically estimates your carport, metal garage, triple wide carport, barn, or commercial building online giving you instant pricing. Our knowledgeable crews, high quantity business, ready to install prefabricated products enables us to finish timely, please our customers, and is how we maintain low prices. 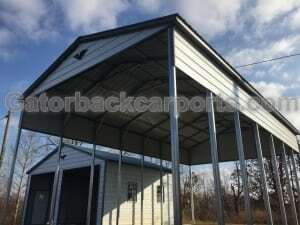 Purchasing your carport is simple you can construct your carport, garage, or other units online with our carport calculator, which will determine the cost of your product with all the options from start to finish. 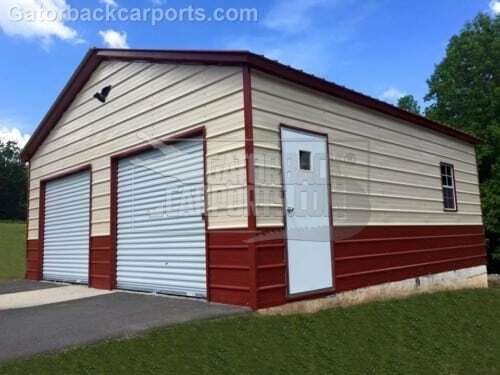 Select the colors, doors sizes, add a commercial roll up door, or walk in door with a simple click. 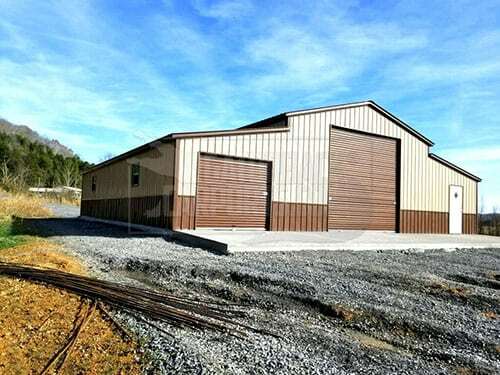 Receiving your order only requires a small down payment of normally 10-15% of the purchase price, and in a few weeks you’ll have your building installed. Give us a call and we will be happy to assist you in choosing the right product for all your needs. 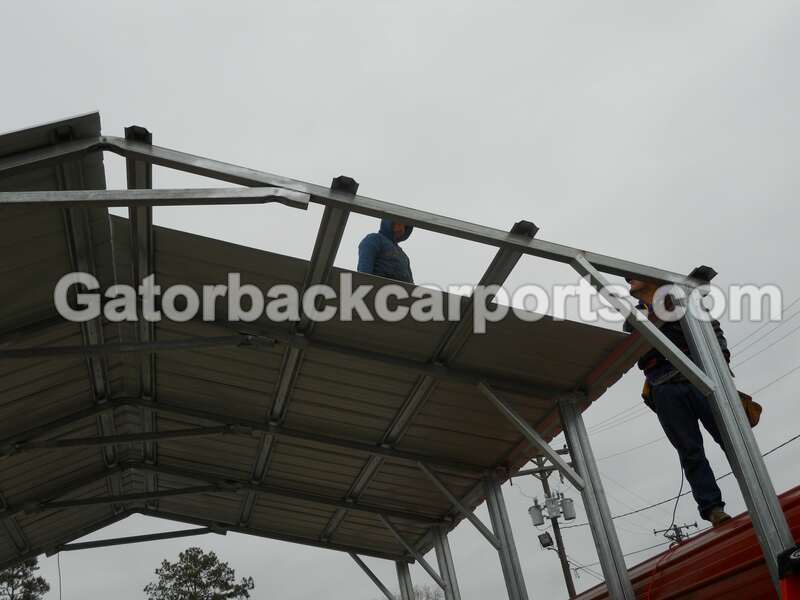 Our metal carports, along with all our buildings are made in the US, and with six strategically located manufacturing facilities in the US we are continually seeking to achieve better-quality service to our large customer base. 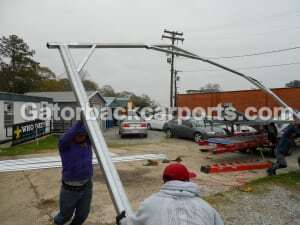 We are dedicated to offer exceptional quality, knowledgeable workers and outstanding customer service. At the time when you need a quality metal carport for your car, a steel garage for your vintage auto restoration, or steel enclosed building for your home or business we are here for you. 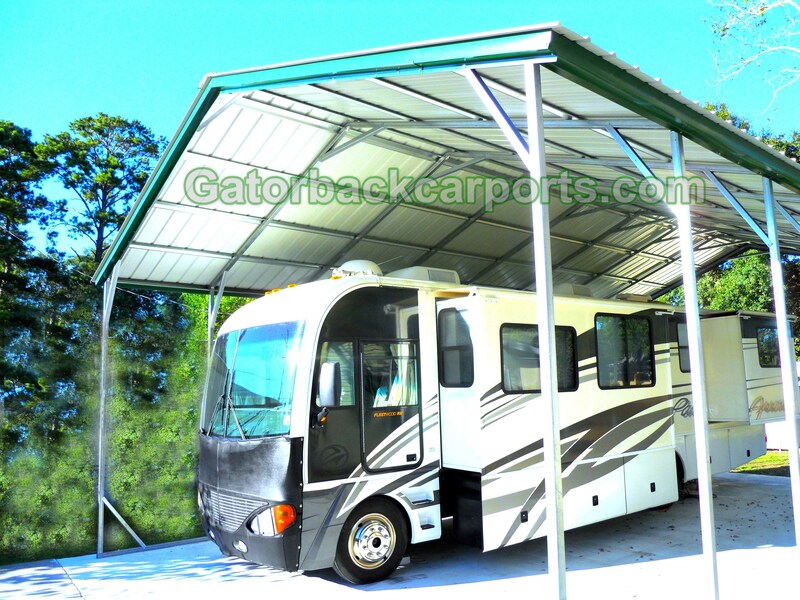 If you need a RV cover, or boat shelter let our service team help you in making a decision you will be satisfied with for the life of your purchase. 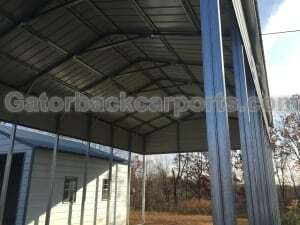 We have metal barns, agricultural and large storage shelters. Call us today and let us help find the right solution for you.